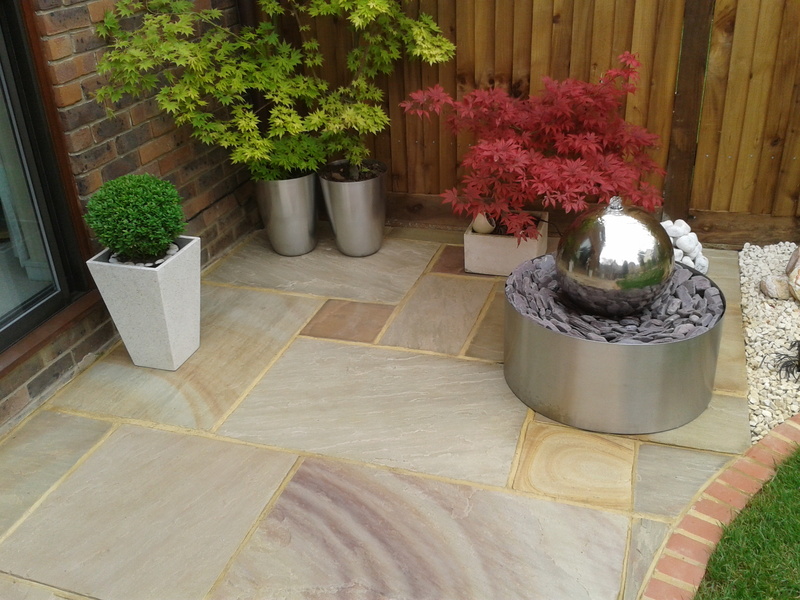 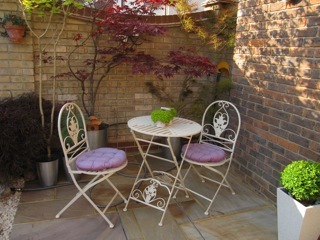 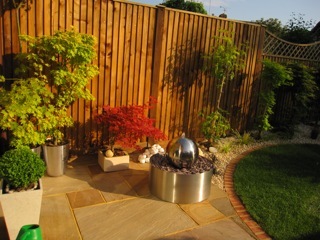 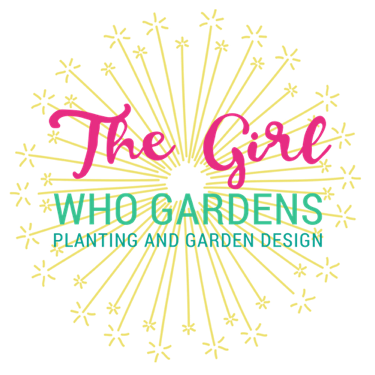 This small courtyard garden was created to showcase the owners stunning collection of Acers and shrubs and to give it’s owner somewhere peaceful to sit and enjoy the sun and her favourite plants. 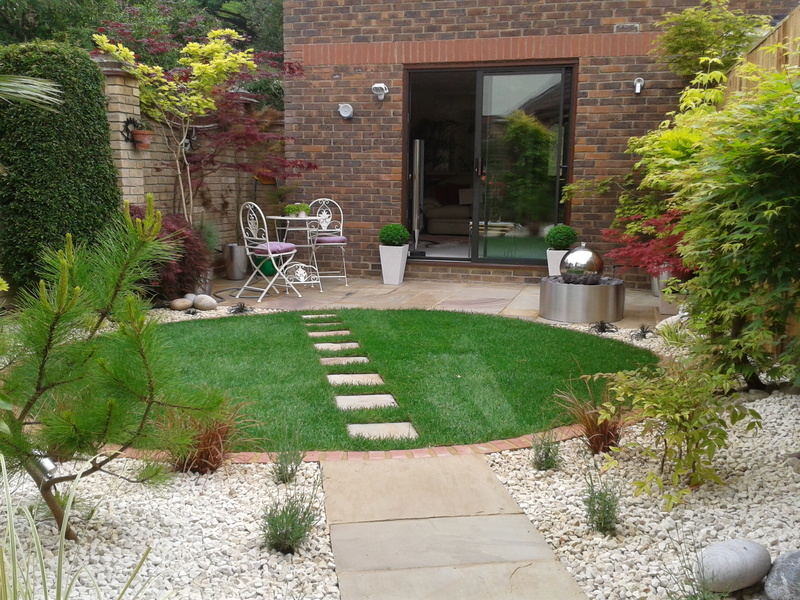 I used simple shapes to make the space feel bigger than it actually is. 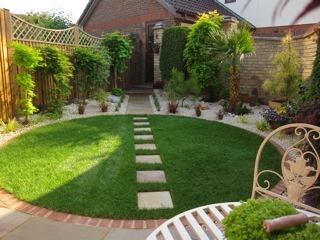 A patio area made the most of the sunny aspect and allowed enough space for seating, posts and a water feature. 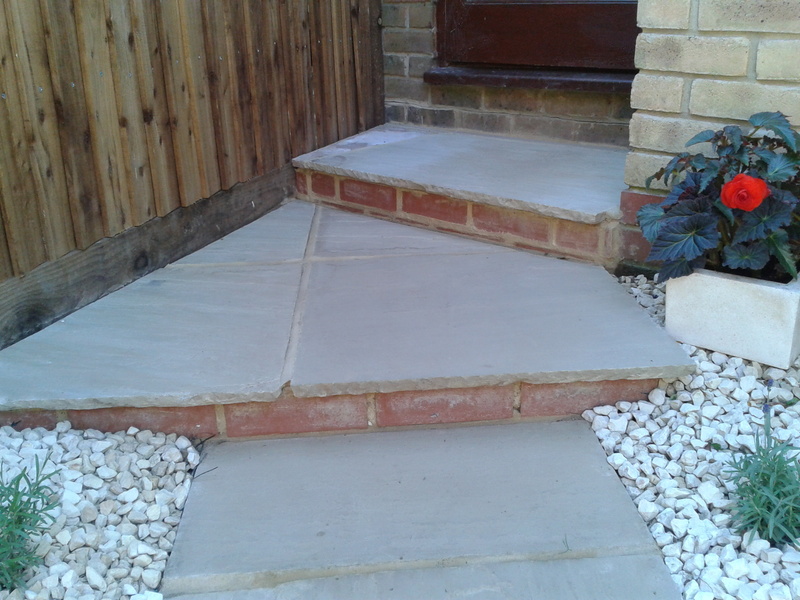 A path on the diagonal enabled access to the garage and using sandstone for the hard landscaping brought consistency and harmony.